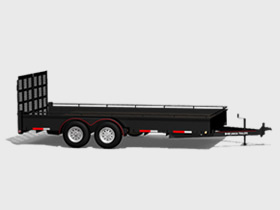 Canada Trailers utility trailers comes loaded with commercial quality in wide range of sizes suitable for the homeowners and/or business use. With the quality and integrity of the utility trailers, you can expect Canada Trailers to last longer due to standard features such as radial tires, tublar steel style build, sandblasted, primed and epoxy painted frames, heavy duty tongue jack, LED clearance and tail lights NOT SCREWED to frame and much more. 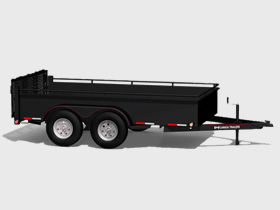 Invest in Canada Trailers quality, you'll see the value!